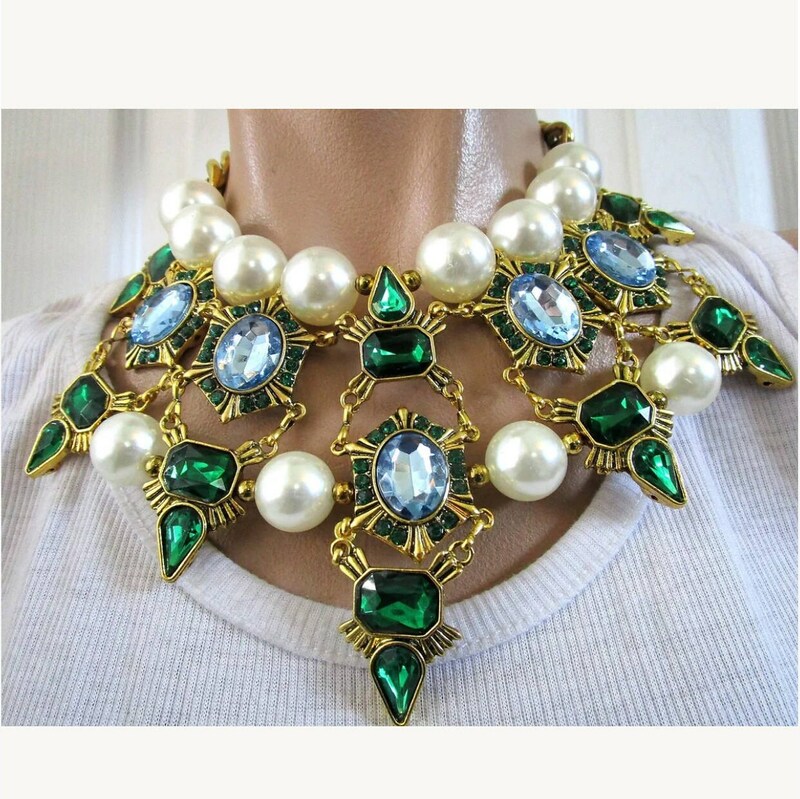 This beautiful necklace is gold tone wtih blue and green resin rhinestones and faux pearls. It is 18" long and can be worn shorter with a lobster claw clasp. Great piece! and a steal at this price ~!